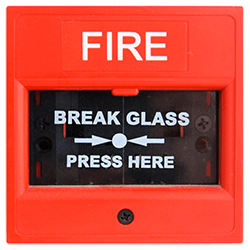 Fire marshal training within the workplace is a legal requirement and for any organisation to successfully evacuate all persons from their premises there must be a sufficient number of suitably qualified fire warden trained personnel. Our online fire marshal training course will help you stay compliant with your fire warden training requirements, helping you to understand the requirements within the workplace and is an ideal training platform to be used along side your current health & safety policies and procedures. This course is conducted using video based instruction, with instructor led presentations and covers many subjects including: the components of the fire triangle, means of escape from hazards and how to undertake a simple safety inspection, plus much more. Our online fire marshal course programme holds a level 2 certification and is ideal for nominated fire marshals, or wardens within your doctors surgery and is ideal training to run along side your existing fire evacuation procedures. The training course is designed to meet and comply with the regulatory reform (Fire Safety) order 2005 and is also RoSPA approved and CPD certified. On registration you will be able to start your course at once and our course is available with free fire marshal training videos, which can be paused, or rewound as you progress, so that you can gain a better understanding of the course structure and content. Our online fire marshal & warden course is an ideal training platform for doctor’s surgery staff members, including receptionists, doctors, nurses, or anyone who would like to gain fire warden certification and once you have successfully completed your e-learning training course you will be able to print your fire marshal training certification. Our online fire marshal training doctors surgeries course is an ideal learning platform for doctors surgery & healthcare receptionists, or anyone working within the healthcare, or doctor’s surgery environment and would like to hold current and up to date fire warden training certification. RoSPA approved & cpd certified online fire marshal training course, suitable for doctors surgeries, healthcare receptionists, video based programme, meet and comply with the regulatory reform (Fire Safety) order 2005. We also offer an online fire extinguisher training programme, which will help you understand the workings of and how to select the correct fire extinguisher in an emergency situation. For additional information follow this link to our Fire Extinguisher Training page. For additional information regarding this service that we offer, or any of the additional online training programmes we have available please contact us through our contact us page.